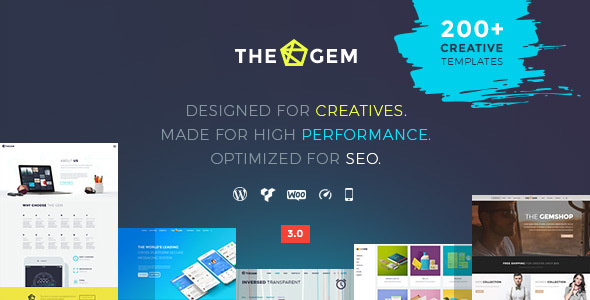 â€“ New WordPress Theme Released! 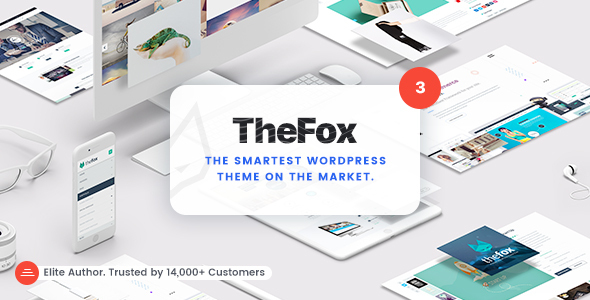 A versatile, responsive, high-performance WordPress theme with a modern creative design to suit a multitude of creative uses for building websites. A HTML5 template that runs on latest jQuery Mobile 1.4.5 framework.THEIA offers different color schemes, different sidebars, uses Font Awesome icons and with more than 30 HTML pages ready to help you with your development!Your customers will never get lost with GPS tracking and if you like jQuery like I do, in the template there are already implemented many external frameworks like Owl Carousel, iScroll plugin or device detection plugin used and working perfectly with Theia.Among others, Theia includes precoded and preset HTML elements (e.g. 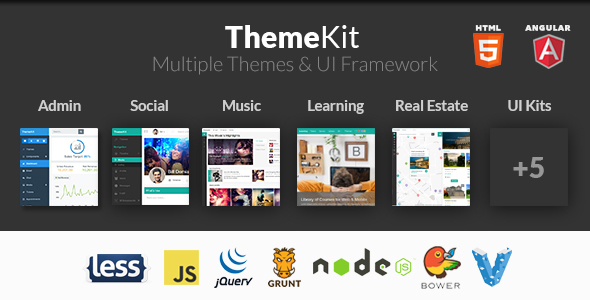 ThemeKit â€“ Multiple Responsive Bootstrap Themes With ThemeKit you get not only a theme, but multiple premium HTML themes refined for various niches, with specialized industry features and a vast UI framework developed for sustaining your projects on the long run. Thrive â€“ Intranet & Community WordPress Theme Foster your community on a familiar platform like WordPress. 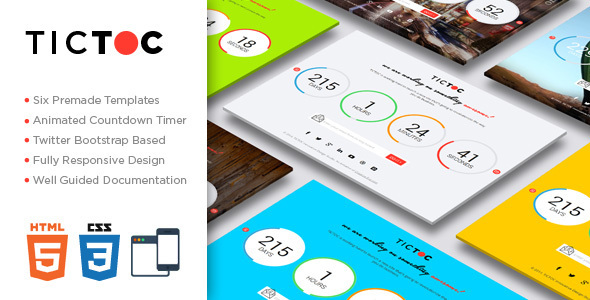 A clean, elegant, responsive, animated countdown coming soon page template. 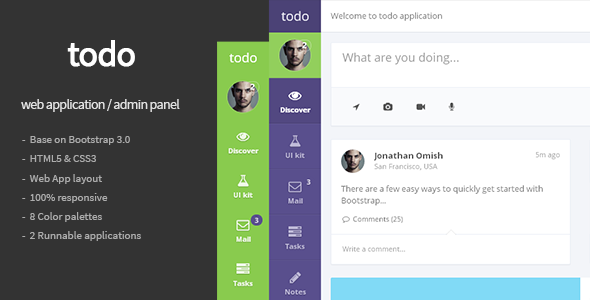 An admin panel template with tons of features, including tabs, dialogs, tooltips, buttons, etc. A fully responsive web app / admin dashboard template. 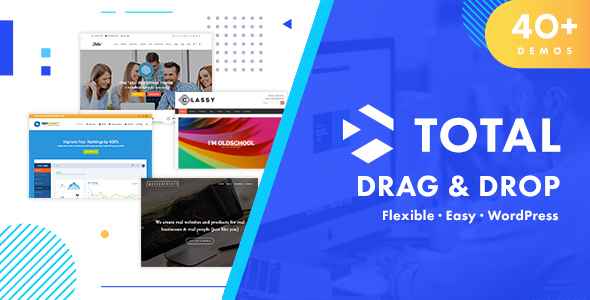 A modern and responsive WordPress theme that combines the power of the WordPress Customizer and the Visual Composer page builder to allow you to create a website for virtually anything. 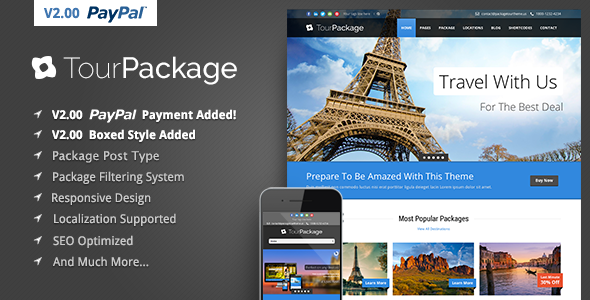 A Wordpress Theme especially for travel company. Check in back-end: username: demoadmin password: demoadmin Check in front-end: username: demo password: demo Traveler â€“ Travel Booking WordPress Theme helps you Save Time, Save Money, Save Face, Save everything can Save to make online booking travel: With fully customizable booking form, flexible online payments, automated notifications, earning from Affiliate system, sync with Google Calendar, TripAdvisor Calendar, Airbnb Calendar, HomeAway Calendar. 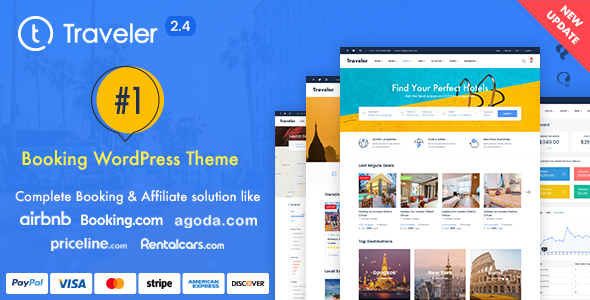 A comprehensive feature rich fully Responsive Travel/Tourism/Hotel/Accommodation Booking WordPress Theme & incl 6 months support.